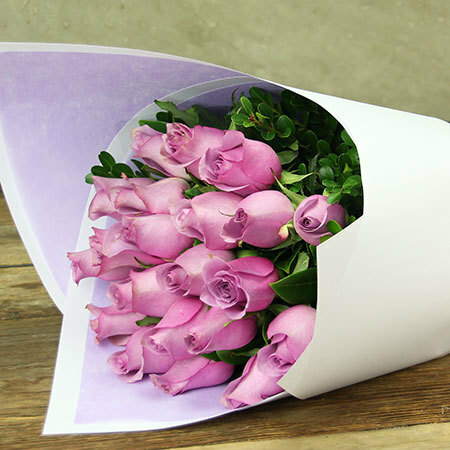 This stunning flower bouquet stars twenty perfect, dusty pink roses combined with dainty greenery. Stylishly presented in a chic white wrap and Flowers for Everyone ribbon, this gift is beautiful gift idea for birthdays, anniversaries and celebrating special occasions such as the birth of a new baby. 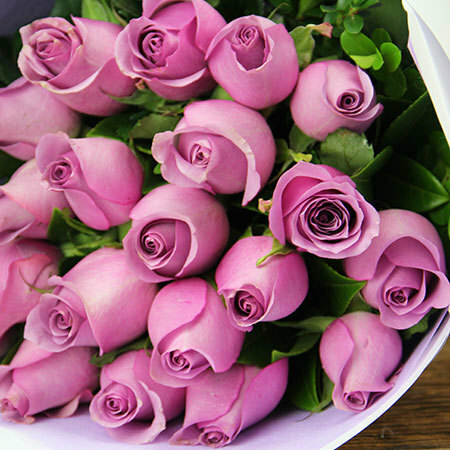 Order our fresh pink roses online now or give the team a call on 1800 66 66 46. Available for Sydney flower delivery only. PS. Team these roses with a bottle of sparkling wine, Urban Rituelle candle or quality chocolate from our sublime range of gift add ons for serious wow factor! 2019-03-17 Service rating : Very good service. Easy folk to work with. Product : Great service. Makes getting flowers a simple process. 2019-02-14 Gorgeous roses. Professional service. Will be using them again. 2019-01-23 Service rating : The flowers looked exactly like picture! My mum loved it! Product : The flowers looked exactly like picture! My mum loved it! She was charming and professional. Thanks again for great flowers and great service. 2019-01-03 On time delivery. Good customer service. 2018-12-30 Service rating : Easy to order online, Flowers delivered accordingly. Couldn’t have chosen a better service then ‘Flowers for everyone’. Flowers were beautiful, Mum was happy. Product : Delivery was great! The convenience of delivering flowers, time was perfect! 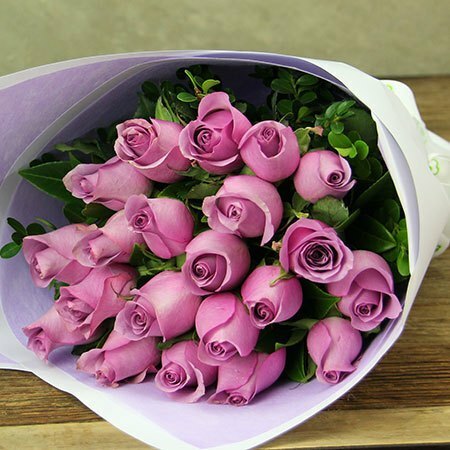 2018-12-29 Service rating : The site was easy to use & the flowers were delivered on time. They even sent me a notification when they’d been delivered. I’d use them again. Product : The flowers looked the same as what was advertised. 2018-12-08 Service rating : Great and on time! 2018-12-07 Service rating : FFE Has always been able to deliver whenever I needed the best flowers in the market. Best delivery as well. Product : They arrived as I expected them to look like! Thank you! 2018-11-30 Ordered last minute, arrived on time and were absolutely breathtaking! Not only gorgeous in colour but fragrant as well. Will definitely chose flowers for everyone again! 2018-11-22 Friendly and prompt service, being able to order by phone a real plus for the computer illiterate. The flower arrangement brought a great deal of joy to the recipient. I will definitely use this service again. 2018-10-28 Service rating : Excellent in every way. Product : Beautiful flowers. Exactly as shown. Arrived promptly.